The Unitarian Fellowship of Lawrence is located amidst a century old hedge grove in rural Kansas. This natural scenic location was a significant influence for the new addition linked to the existing 1880’s one-room schoolhouse where the fellowship previously held its meetings and community activities. The volumetric and material relationships were developed collectively with light in order to orient key areas of activity and emphasize the use of natural materials which follow the spiritual interests of the fellowship. 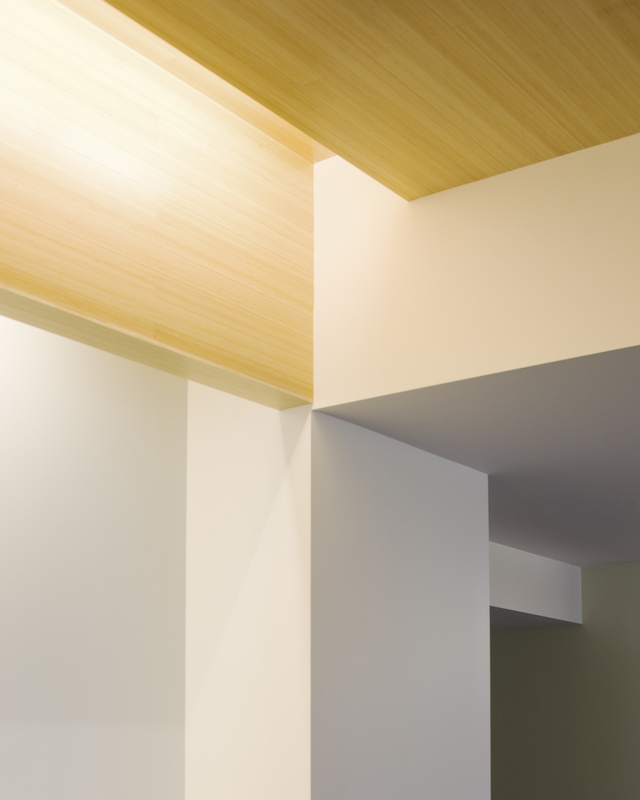 Linear fluorescent coves are incorporated within architectural reveals and folds, emphasizing these junctions and providing both task and ambient illumination. These linear applications are used in conjunction with opaque and translucent materials, adding richness and elegance to the otherwise modest spaces. These repeating horizontal lines, a poetic reference to the surrounding Kansas landscape, underscore a Unitarian approach to spirituality rooted in Humanism and respect for the natural world. 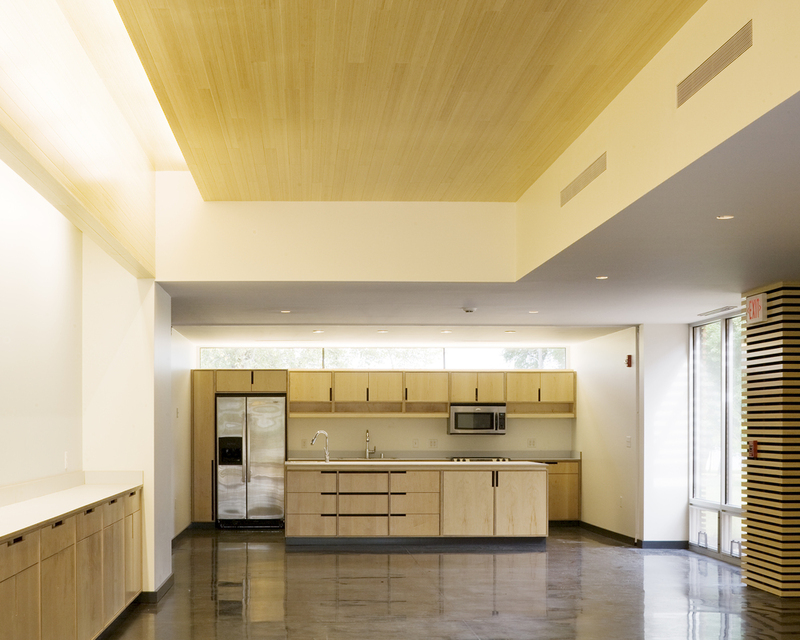 These contained linear washes are complimented by carefully considered recessed downlighting. Scale, pattern, density and detailing change to reinforce like nature of spaces and associated programs. 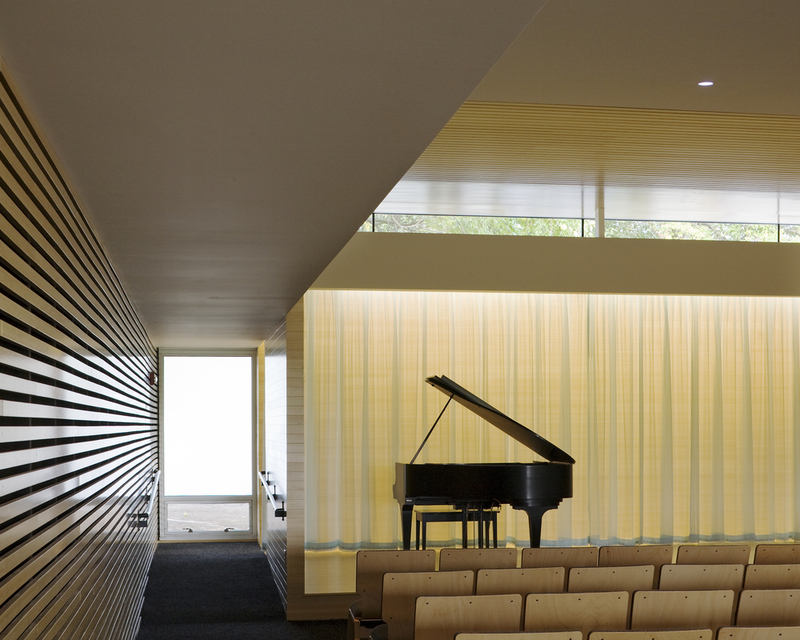 For example, small aperture recessed luminaires are randomly scattered in the sanctuary, contrasting orthogonal layouts elsewhere in the facility. Additionally, these flush mounted luminares are installed integrally to the ceiling with no trim, yielding the presence of perforated voids hovering over the congregation. The cumulative effect of such thoughtful detailing and composition of electric light in conjunction with focused exterior views further reinforce the congregation’s spiritual interests in nature and phenomena.